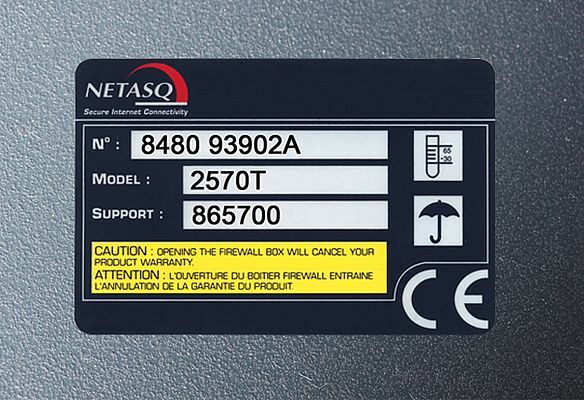 Designed for heavily textured, powder-coated and cast-aluminum surfaces, the new CILS-9100HD high-performance heavy-duty label range, from CILS International, provides an immediate, permanent bond to the most difficult surfaces. Variable data can be added in minutes straight from an existing PC and standard Laser or thermal transfer printer. A print receptive surface coating ensures printed data remains sharp, legible and permanent even when exposed to temperatures from -80 to +388°C, harsh chemicals/solvents, abrasion, oils/fuel and so on. Manufactured to any size, shape and full color pre-printed corporate design, the labels provide the ideal labeling solution to the most challenging industrial surfaces.